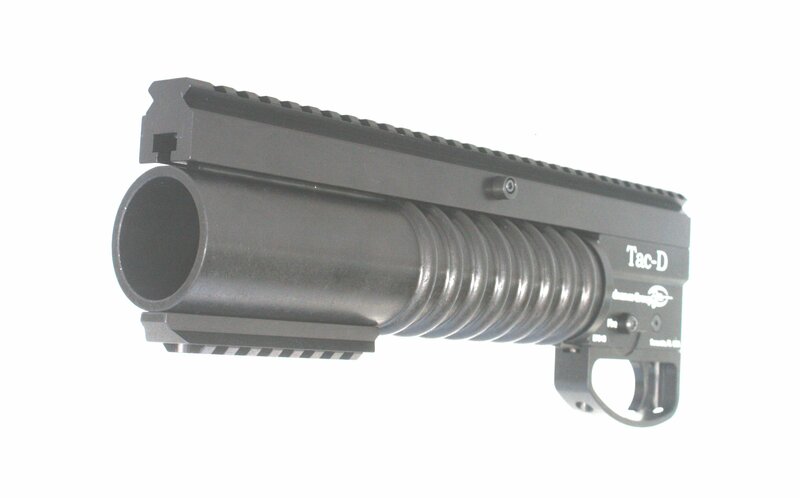 Tac-D has an ambidextrous safety and fully enclosed cartridge head design. The receiver is one piece for enhanced durability and reliability. Check out the pictures and order now! 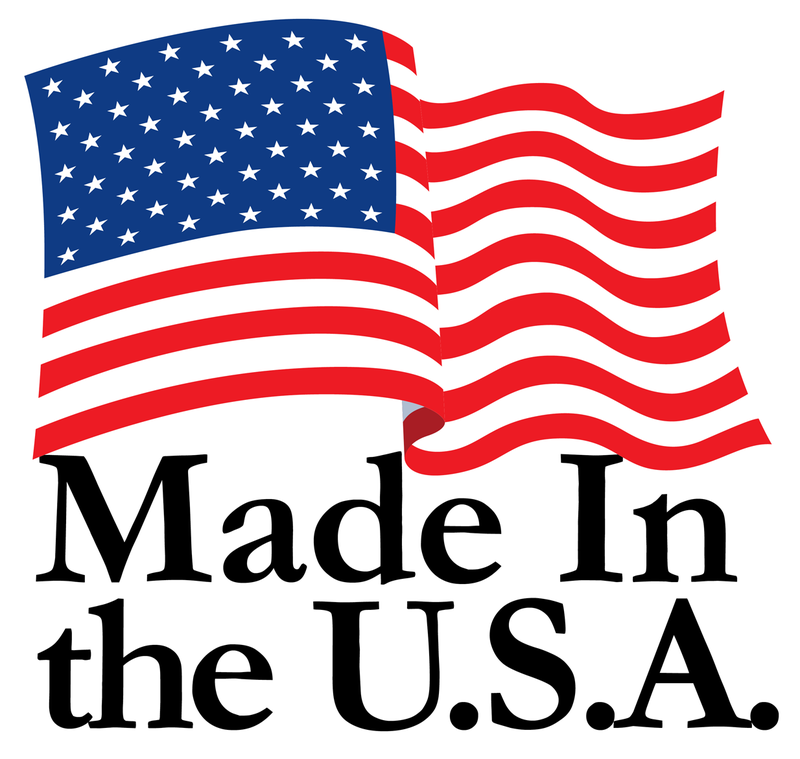 Entirely made in Florida, USA! 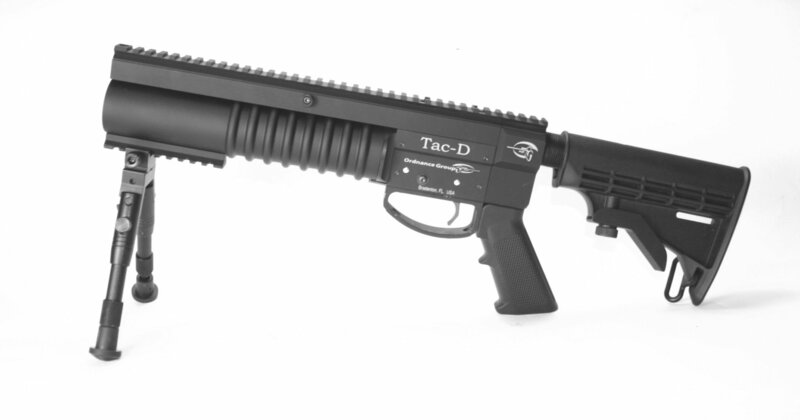 The Tac-D is the re-creation of the venerable M-203. It is single action with a cocking lever on the side. It boasts a positive trigger block safety. 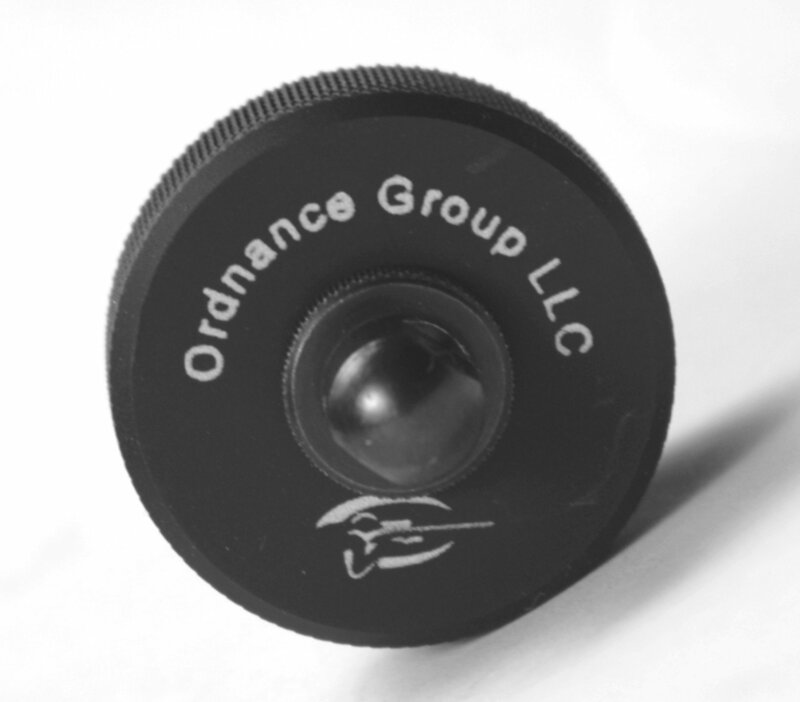 As with all our Launcher products, it is chambered in 37/38 mm and made to the highest standards of American workmanship. Constructed of 6061 aircraft grade aluminum and 4140 hardened steel, it is rugged while maintaining a reasonable weight. 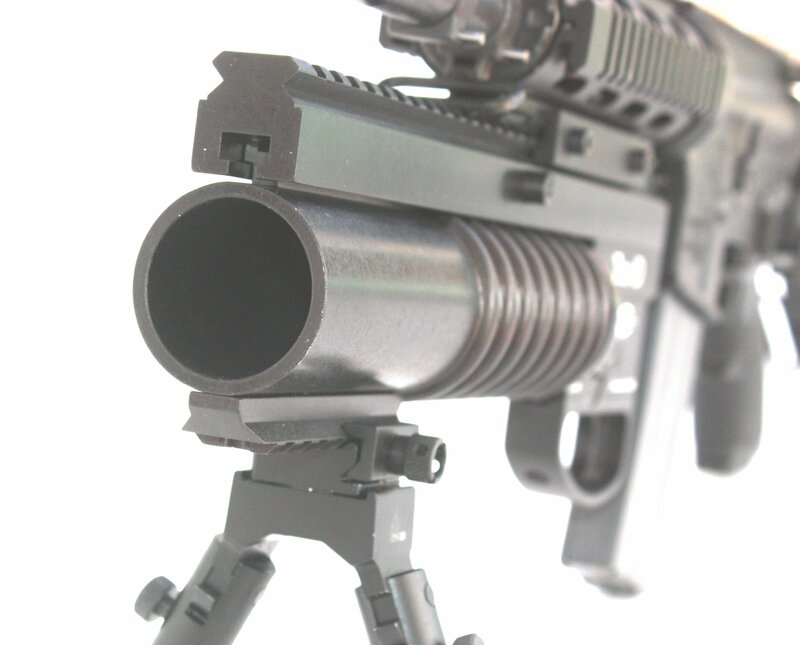 The Tac-D mounts on any rifle or carbine fitted with a Picatinny Rail using a 4” clamp and two bolts that provide the most solid attachment in the industry. 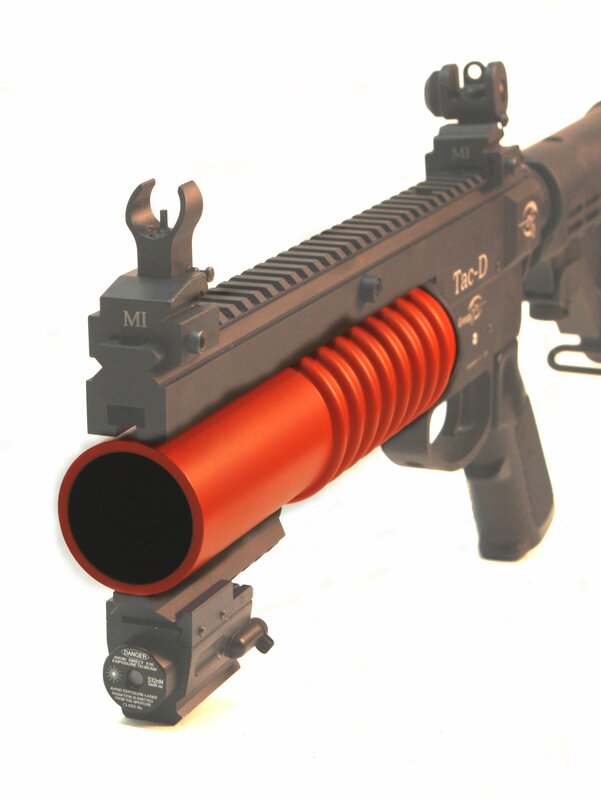 As always, state of the art materials are used throughout, the forward grip is machined as part of the barrel itself. All parts are Type II Coated or Black Oxide treated. We think that you will agree that it is a perfect counterpoint to your AR platform weapon. 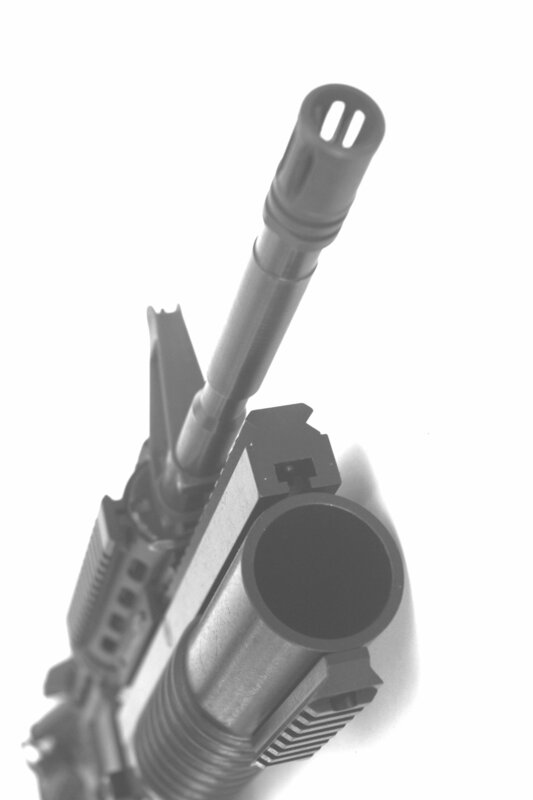 Note that care should be used if you use the KeyMod or M-Lok mounting system with the Tac-D (or any Underbarrel Launcher from any manufacturer). Neither of these systems are meant to handle heavy recoil. Stock expansion system looks great and won't break the bank. The Tac-D handles standard 37mm ammunition with the length restriction outlined above. Available ammunition includes flares, smoke and other pyrotechnic rounds for civilian use. If you are a member of law enforcement or the military you can have a variety of “Less Than Lethal” rounds at your disposal. These include Batons, CS Gas, Wildlife Management (Bird Control) and crowd dispersing Rubber Pellets. 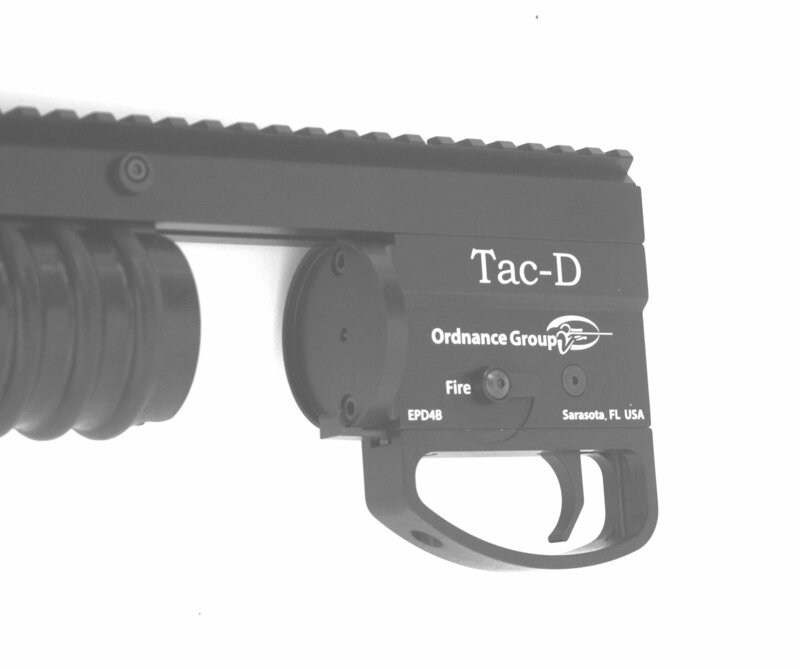 The Tac-D is ideal for use by SWAT Teams and others with critical tactical requirements. 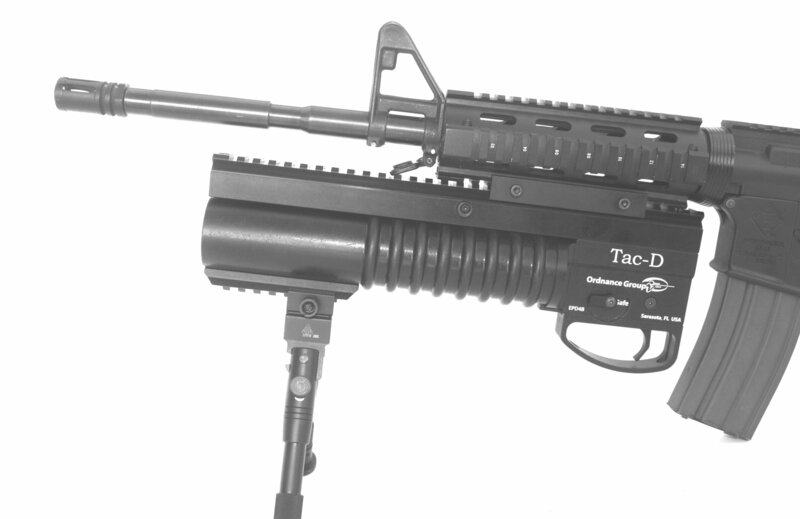 The Tac-D is equipped with a 9” barrel with a full length upper Picatinny Rail for attachment to your Picatinny Rail equipped weapon. 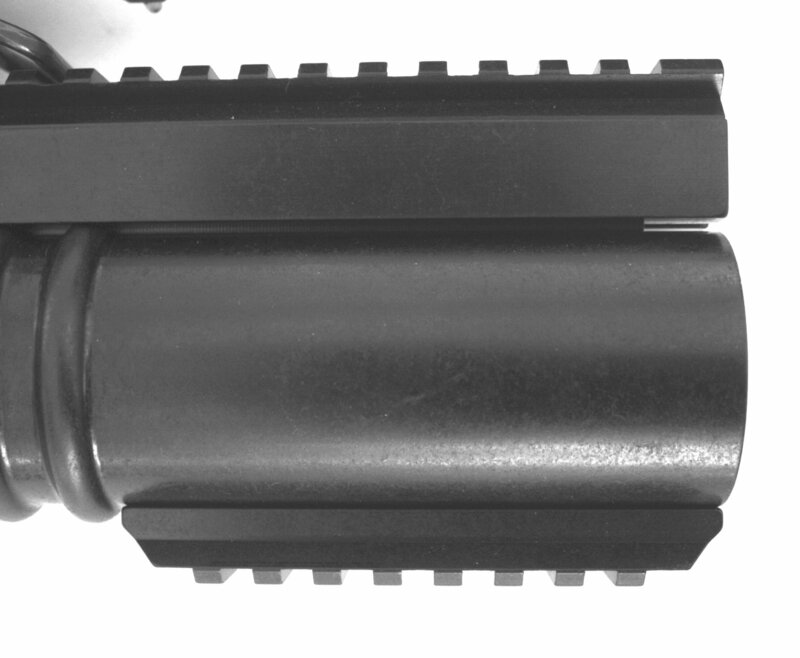 The underside of the barrel has a 3” rail at the muzzle end for bipod or other accessories. Loading is accomplished by releasing the barrel and sliding it forward to it’s positive stop. Ammunition up to 6” long can be easily accommodated; this includes Batons and other Less-Lethal Law Enforcement rounds as well as the OG 26.6mm and 12 ga. adapters. 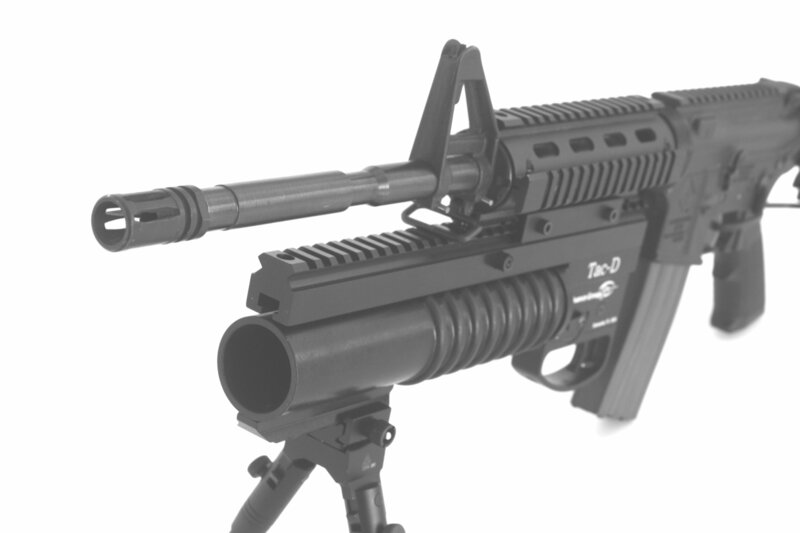 Note that with after-market quad rails, the Tac-D can attach to the AK, SKS and any tubular feed shotgun. Click on the images for a larger view. The standard finish is tactical black. Orange barrel is available in very limited quantities. Note that pictures may show accessories not included in price. Price includes only launcher and Picatinny to Picatinny clamp. 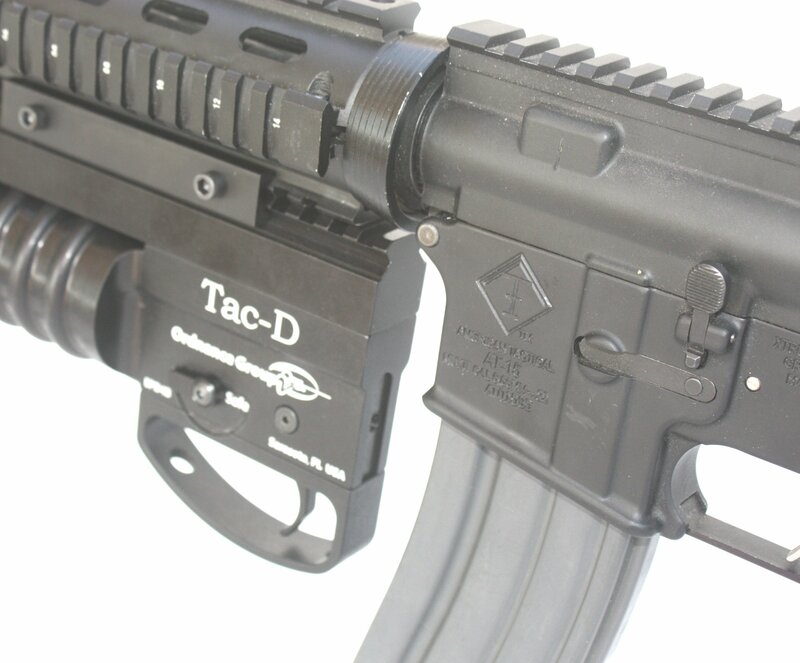 A stock adapter is available to attach an AR style stock to the Tac-D as well as a stock swingee thing (see products shown below). 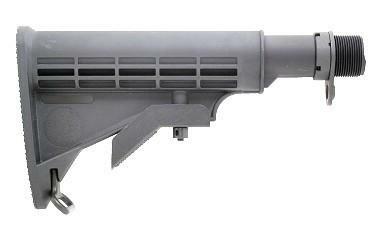 We think that you will agree that it is a perfect counterpoint to your AR platform weapon.